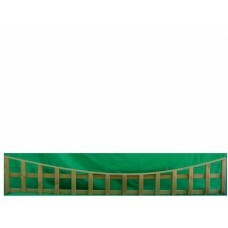 Premium Square Trellis Panel manufactured using Four Eased Edge PSE 18 x 36mm battens. Pressure Treated Green. Height is measured at the highest point, concaving down 150mm as standard. Bespoke sizes available.